An extension is just a tool used to enhance your browsing experience in Chrome. Go to the Chrome web store now, then click on ADD TO CHROME. 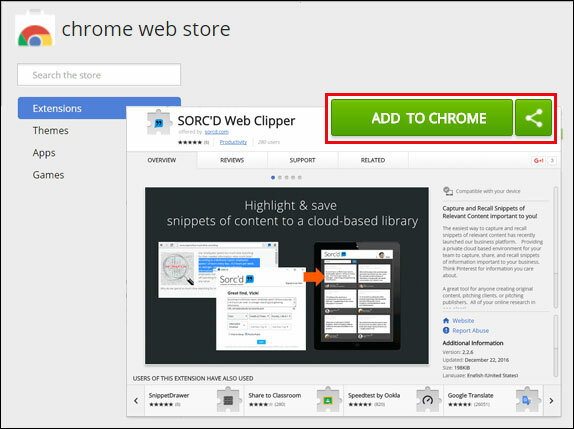 The Sorc'd Web Clipper Chrome extension empowers you to highlight text from any website and save to your Sorc'd account. We save the links to all of your sources, so you can easily reference them when you want to. When you add an extension, the logo will appear in the upper right-hand of your browser window.